Media coverage of an important expansion of Poole Harbour’s Site of Special Scientific Interest (SSSI) designation has appeared on BBC News today. It is reported online as one of the country’s best-loved coasts and the move by Natural England will see a further 1,800 hectares (ha) of land and sea brought within the site to help protect the entire harbour - an increase of 40 per cent. It is the first SSSI specifically to include subtidal areas, which will protect the feeding areas of internationally important tern populations. The beautiful Poole Harbour is a magnet for both people and wildlife. Part of Thomas Hardy’s Wessex landscape, this protection of a large part of Poole Harbour will continue to ensure that generations to come can enjoy the Dorset coast. Through this action, Natural England is making a vital contribution to our nation’s cultural and environmental heritage. Our 25 Year Environment Plan includes a commitment to develop a Nature Recovery Network to protect and restore wildlife. Improving our protected areas will play an important role as we develop this network and work to realise our ambition to become the first generation to leave the environment in a better state than we found it. This SSSI extension connects to a wide network of important habitats. The Dorset Heaths are one of the best examples of lowland heath in the world and Poole Harbour opens out onto outstanding marine habitat protected under the Bluebelt programme, including Poole Rocks Marine Conservation Zone (MCZ), and Studland Bay proposed MCZ. Key to the success of such large scale environmental improvement has been Natural England working with local harbour users and partners such as the Southern Inshore Fisheries Conservation Authority, Poole Harbour Commissioners, Royal Society for the Protection of Birds (RSPB), National Trust, Dorset Wildlife Trust, Dorset Area of Outstanding Natural Beauty and local authorities . Natural England is here to make sure that people and nature can thrive, through sustainable stewardship of the land and sea. I am delighted therefore that we have been able to extend the protection for this internationally important site. Poole Harbour is one of the very few SSSIs to include important subtidal habitat, home to an abundance of species including dense forests of Peacock Worms. 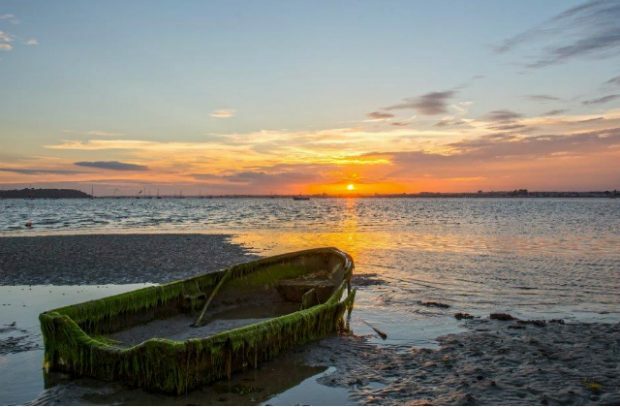 The support from our partners and stakeholders across the area has been vital to our work and we look forward to continuing to work with them so that Poole Harbour can continue be enjoyed and cared for by everyone long into the future. I am delighted to learn that there has been a significant expansion of the wildlife protection designation which will help to safeguard the future health and resilience of Poole Harbour. Protecting land and seas for future generations and for the welfare of all creatures depending on those areas is so important. I commend all involved for taking these steps to protect our precious environment for all.